The System of National Accounts is a system of data on the sectors of the economy, the transactions between sectors, and a frame for economic analysis. At the center of national accounts is the production of goods and services, i.e. 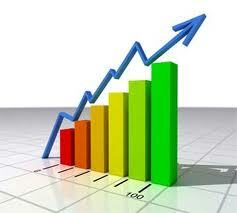 gross domestic product (GDP), which is the main indicator for the development of the economy of the country. Gross domestic product per capita is an indicator for comparison of the development of the country with other countries, for comparison of labor productivity, and at the same time main indicator for the calculation of gross national income, gross savings and net lending and net borrowing. Gross domestic product is the final result of the production activity of the resident units and it is the sum of gross value added of the various institutional sectors plus value added tax and import duties less subsidies on products. Gross output is considered to be the value of goods and services produced in the course of one year, regardless of whether or not the whole quantity is sold or partially added to stocks. Intermediate consumption is considered to be the value of products and market services, which the producer uses as inputs in the production process, excluding fixed capital consumption i.e. depreciation, in order to produce other products and services. Gross domestic product = Final consumption expenditure + gross investment + export - import. Final consumption expenditure consists of expenditure incurred by resident institutional units (Government, Households and Non-profit institution serving households) on goods or services that are used for the direct satisfaction of individual needs or wants or the collective needs of members of the community. Gross fixed capital formation is measured by the total value of producer acquisitions, less disposals of fixed assets during the accounting period, plus certain additions to the value of non-produced assets realized by the productive activity of the institutional unit. Change in inventories is the value of the entries into inventories less the value of withdrawals and the value of any recurrent losses of goods held in inventories. Exports of goods and services are sales, barter or gift of goods and services, from residents to non-residents. Imports of goods and services are purchases, barter or gift of goods and services, from non-residents to residents. Data on export of goods and import of goods are valuated by FOB principle. The calculations of gross domestic product at constant prices are made using the method of extrapolation and the method of deflation. This value of gross domestic product represents the real value of the components of gross domestic product. The growth rate is an indicator for comparison of the movement of each of the components of GDP, and an indicator for the comparison between these movements with other countries.